The workshop focuses on recent advances in the broad theoretical and technological area of systems and control. The workshop will be held from 1pm to 5pm in room 2001, Engineering Science Building, on campus at UCSB. The workshop will consist of presentations by selected invited speakers, including a concluding seminar by Professor Richard M. Murray. 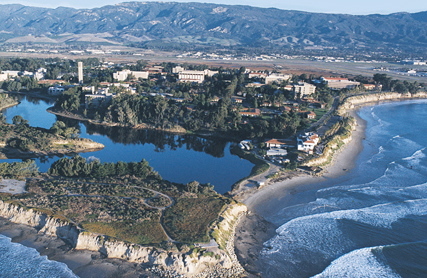 The workshop is organized by the UCSB Center for Control, Dynamical Systems and Computation. Due to the limited number of seats available, please confirm your participation as soon as possible by emailing ccdc-admin@ece.ucsb.edu. Abstract In this talk recent research accomplishments in the area of design, and control of complex dynamical systems will be presented. In addition, two strategic initiatives, Autonomous and Intelligent Systems, and High Performance Buildings will be discussed. These systems require increasingly sophisticated dynamic modeling and control design to achieve the levels of performance demanded by the end users. Biosketch Sonja Glavaski joined UTRC in 2010. In her current role as Control Systems Group Leader, she has made significant technical contributions to United Technology Corp. (UTC) world-class product andtechnology portfolio, advancing new knowledge and technology critical to the implementation of cutting-edge control systems. During the last three years, she has led multi-disciplinary research teams, developing and implementing advanced control methodology and tools that are setting new standards across UTC and are being adopted on multiple high-visibility programs. In addition, Dr. Glavaski leads a research team of 18 control engineers and technicians. Under her supervision collaboration between UTRC and UTC businesses has increased significantly and continues to grow. During her 20-plus-year career, Dr. Glavaski has contributed significantly to technical advancements in numerous product areas, including integrated building systems, HVAC/R systems, hybrid vehicles, jet engines, aircraft, rotorcraft, and industrial processes. Prior to joining UTRC, Sonja led key projects at Eaton Innovation Center and Honeywell Labs. She received the Honeywell Aerospace Technical Achievement award. Dr. Glavaski is a Senior member of IEEE, and is University of Maryland, Robotics Institute, Strategic Advisory Committee member. For last three years Sonja has served as the IEEE Control Systems Society Women in Control Chair. Her research findings have appeared in more than 35 publications. Education: Ph.D., Electrical Engineering, California Institute of Technology, 1998; M.S., Electrical Engineering, University of Belgrade, 1991; and Dipl. Ing., Electrical Engineering, University of Belgrade, 1983. Abstract Aquatic microorganisms like Vorticella use oscillating cilia to establish streaming flows that capture nearby food particles. Artificial cilia can be used to achieve similar contact-free particle capture and transport for engineering applications on microscopic scales. In the extreme of Stokes flow, the relevant fluid dynamics admit a simple model and the trajectories of infinitesimal particles are straightforward to control. This talk will describe the analytical, computational, and experimental investigation of inertial particle dynamics and control in cilia-driven flows with low nonzero Reynolds number. Biosketch Scott Kelly received his BS in Mechanical & Aerospace Engineering from Cornell in 1991 and his MS and PhD in Mechanical Engineering from Caltech in 1992 and 1998, respectively. Following a postdoctoral appointment in Control & Dynamical Systems at Caltech and subsequent appointments at Entelos, Inc. and the University of Illinois at Urbana-Champaign, he joined the department of Mechanical Science & Engineering at UNC Charlotte in 2007. Abstract Many physical models possess the property of being real analytic, while almost none - in fact, none that I know of - possess the property of being smooth but not real analytic. Nonetheless, smoothness is the most common assumption of physical models. One of the reasons for this is the difficulty of fully taking advantage of real analyticity when we have it, whereas smoothness is far easier to handle. This will be an overview talk about what is known in the world of real analyticity, and the tools for proving such results as are known. The central ideas here go back to the late 1950’s with work of Cartan (the younger), and Whitney and Bruhat. However, these ideas have not really made their way to the applied community. Biosketch Andrew Lewis was the second Doctoral student of Richard Murray at Caltech, receiving his PhD in 1995 on the subject of geometric mechanics and control theory. Following a one-year postdoctoral stint at Caltech, in 1996 Andrew went to the Mathematics Department at the University of Warwick for two years to do research in the area of symmetry and mechanics. In 1998 he joined the Department of Mathematics and Statistics at Queen’s University in Kingston, Ontario, Canada, where he is now a Professor. Abstract MEM vibratory gyros that achieve sub-degree-per-hour bias instability, and low angle random walk, typically exploit frequency matching of a pair of coriolis-coupled modes within the resonant structure. High quality factors are desired in order to boost the signal-to-noise ratio but this places stringent requirements on the degree of modal frequency detuning that can be tolerated. Traditionally, electrostatic biasing of different parts of the resonator has been employed for modal frequency matching, however, this degree of flexibility is a two-edged sword because any drift in the biases will be reflected as a change in sensor dynamics which will subsequently produce drift in the zero rate signals. After an overview of how various noise sources contribute to the spectrum of the measured angular rate, and under what circumstances it is important to frequency match the modes, I will introduce recent advances in the art of modifying MEM gyro dynamics via mass perturbation of the resonator that accomplishes frequency matching without the need for electrostatic biasing schemes. Biosketch Robert M’Closkey received his PhD in 1995 from the Department of Mechanical Engineering, California Institute of Technology, under the guidance of Richard Murray. After a half-year visiting position at UC Berkeley with Andy Packard he joined the Mechanical and Aerospace Engineering Department at UCLA where he is currently a Professor. He received the NSF Career Award in 1999 and has several teaching awards from UCLA’s School of Engineering. Abstract Stochastic dynamical systems in continuous time with discrete integer states appear in many applications including population dynamics, intracellular chemical kinetics and queueing theory. These examples are often approximated by ODEs. Parametric sensitivity analysis of such systems is relatively easy when modeled by ODEs, but is particularly challenging when modeled by discrete state stochastic dynamical systems. We describe three different approaches and some of the mathematical issues involved. Biosketch Dr Rathinam is an associate professor of mathematics at the department of mathematics and statistics at the University of Maryland Baltimore County (UMBC). His research interests include stochastic and deterministic dynamical systems; their analysis, numerical methods and their analysis as well as modeling. He obtained his PhD in Applied Mathematics from Caltech in 1997 under the direction of Dr. Richard Murray. He was a postdoctoral scholar at Caltech and later at the University of California Santa Barbara. He joined UMBC in 2002 as an assistant professor. Abstract Biological systems make use of feedback in an extraordinary number of ways, on scales ranging from molecules to cells to organisms to ecosystems. In this talk I will discuss the use of concepts from control and dynamical systems in the analysis and design of biological feedback circuits at the molecular level. After a brief survey of relevant concepts from synthetic biology, I will present some recent results that combine modeling, identification, design and experimental implementation of biological feedback circuits. These results include the use of intrinsic noise for system identification in transcriptional regulatory networks, analysis of the role of multiple feedback loops in providing robust behavior (ultrasensitivity and biomodality), development of in vitro circuits for rate regulation and even detection, and the use of time delay as a means of designing biomolecular feedback dynamics. Using these results as examples, I will discuss some of the open problems and research challenges in the area feedback control using biological circuits. Biosketch Richard M. Murray received the B.S. degree in Electrical Engineering from California Institute of Technology in 1985 and the M.S. and Ph.D. degrees in Electrical Engineering and Computer Sciences from the University of California, Berkeley, in 1988 and 1991, respectively. He is currently the Thomas E. and Doris Everhart Professor of Control & Dynamical Systems and Bioengineering at Caltech. Murray’s research is in the application of feedback and control to networked systems, with applications in biology and autonomy. Current projects include design of reactive control protocols for distributed embedded systems and analysis and design of biomolecular feedback circuits. Page generated 2013-05-05 23:01:08 PDT, by jemdoc.